Strong bodybuilder man with perfect abs, shoulders,biceps, triceps and chest showing his biceps. Scream motivation. 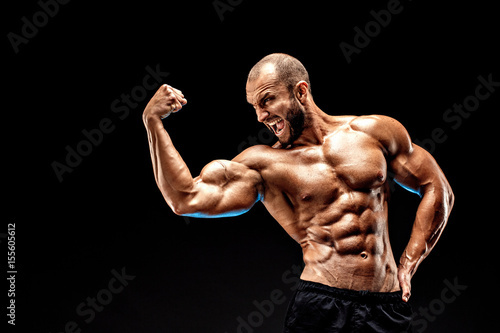 Photo wallpaper - Strong bodybuilder man with perfect abs, shoulders,biceps, triceps and chest showing his biceps. Scream motivation.